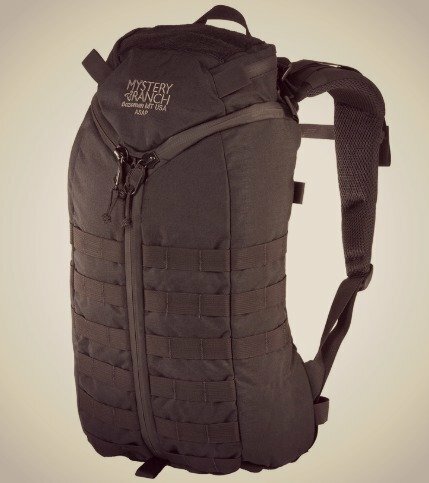 » Mystery Ranch ASAP Review – The Lightweight Assault Pack You’re Looking For? 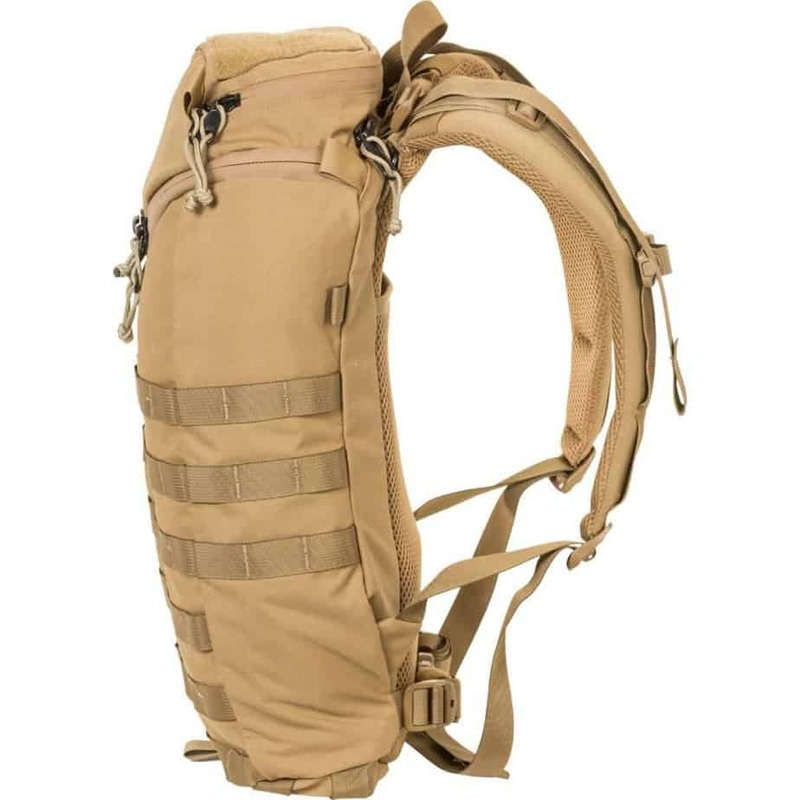 Mystery Ranch ASAP Review – The Lightweight Assault Pack You’re Looking For? 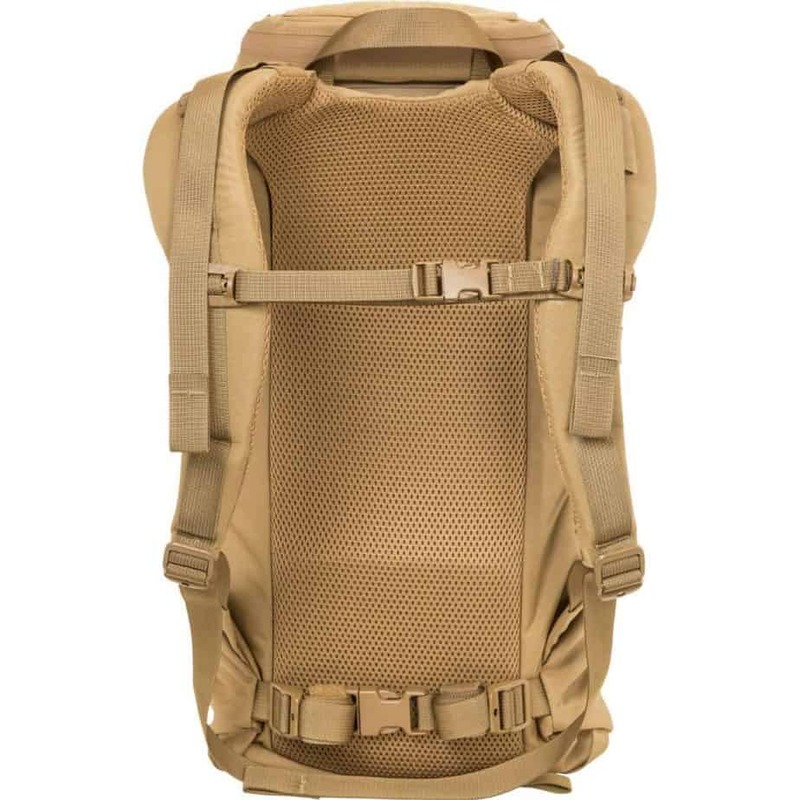 The Mystery Ranch ASAP is a lightweight assault pack for short missions, created with Mystery Ranch’s custom 3-ZIP design that allows for quick interior access and the ability to carry a radio. This is the smallest assault pack that Mystery Ranch has. In this article, we’re going to start by explaining what an assault pack is, then go over some of the main features you want to look for when buying an assault pack. We’ll then give you an overview of the Mystery Ranch ASAP before diving into its specs and design details. Then, we have a pros and cons section where we talk further about the specifics you’ll want to know. In the end, we’ll give you our final thoughts about the ASAP. What is an Assault Pack? 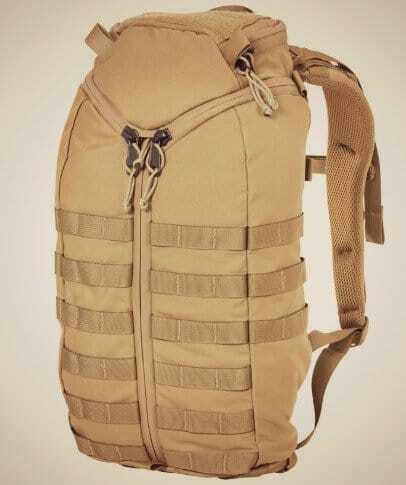 An assault pack also referred to as a tactical pack, is like a military backpack that civilians (non-military) can use daily. They combine military-level benefits with the ability for everyday carry (EDC). The reason people choose assault packs is that they’re designed to be durable enough to go to war, which means they can definitely stand up to your daily or outdoor adventure needs. 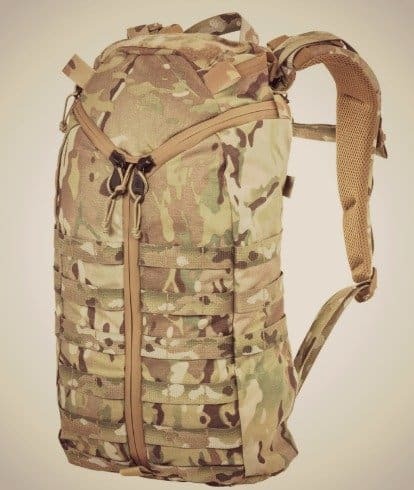 Assault pack designers, like Mystery Ranch, put an emphasis on things like activity, durability, and strength, and they don’t focus on things like fashion or style (though some people probably feel like a military style in and of itself is fashionable). The main purpose of these bags is the function. In this section, we’re going to talk briefly about how to choose an assault pack – what to expect and what to look for so you know you’re getting a quality pack that’ll last. Assault packs should be made from high-quality materials. That usually means 500D to 1200D CORDURA nylon fabric. You don’t want something like 200D or polyester. You also may find packs with even better materials, like X-Pac fabric. These better fabrics could be heavier (though they may not be), and they’ll likely be more resistant to inclement weather and abrasion. For the most part, customers who want an EDC tactical bag will want something between 15 and 26 liters (the ASAP comes in at about 20 liters). This is a good size for going on an easy hike, heading to the office, running errands or even going for a short trip. If you think your needs exceed that, though, you may want to consider a bag that’s 30 liters. Basically, the more gear you need to carry (like for a long hiking trip or big travel plans), the more volume you’ll need. You need to think about how much of a minimalist you’re willing to be and what types of gear you need to carry with you vs. what you can purchase (and how you’ll carry it) along the way or once you reach your destination. A good rule of thumb when assessing the features of the assault pack, mainly the zippers and other types of hardware, is that (a) there’s a brand name present and (b) it’s a brand name that’s known for quality. In regards to the ASAP pack, the zippers are YKK, which is a well-known, high-quality zipper brand. If there isn’t a brand name mentioned at all, consider that a bad sign. The hardware can break off the pack if it’s not well made. The last thing you want is a zipper to break or a shoulder strap to come unattached when you’re halfway through a backcountry hike – or walking for blocks and blocks through a city, or carrying expensive camera gear, etc. MOLLE stands for Modular Lightweight Load-Carrying Equipment, and it’s one of the visual aspects of the bag that makes it obviously tactical. The MOLLE isn’t for aesthetics, though (nothing on these bags are, really) – it’s webbing or laser-cut holes that let you attach all sorts of gear to the exterior of the bag, including pouches. 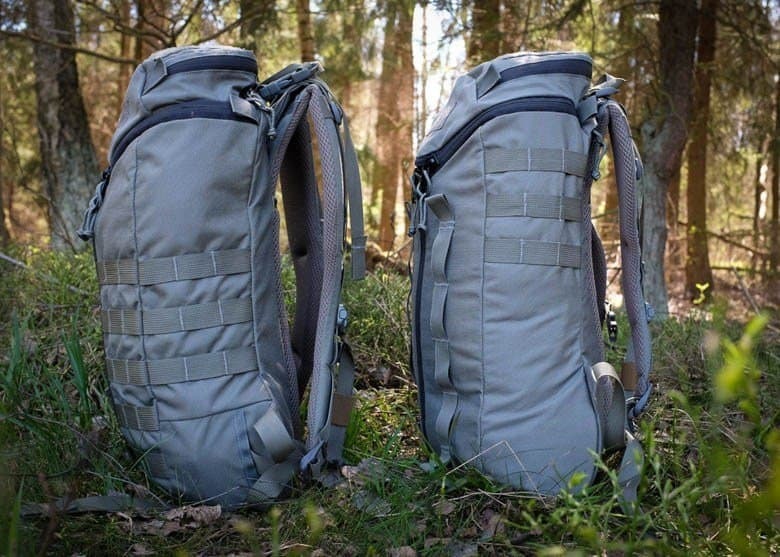 This means you can adapt and build out the pack to suit your needs, and that you can attach equipment and pouches from other brands if you want to. You may also find MOLLE on the interior of the bag, which is helpful for organizing your gear or keeping expensive items safe. 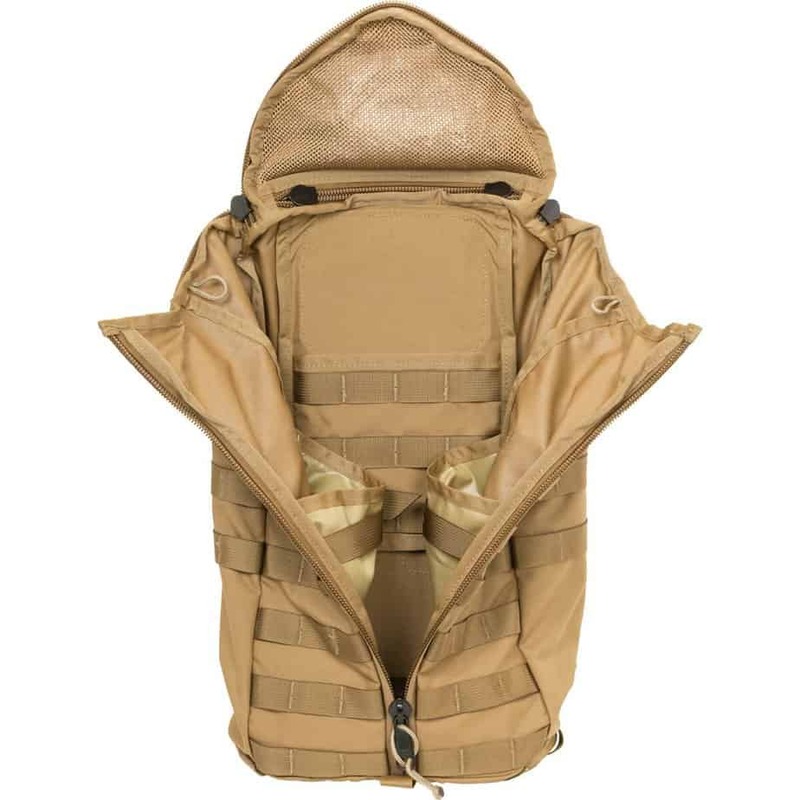 At first, it may seem like a great idea to get an assault pack with a ton of internal and external organization options – the more pockets and compartments, the better. Keep in mind, though, that the more compartments and pockets you have, the heavier and costlier the bag’s going to be. With your own pouches and the ability to attach items to the MOLLE (there’s a ton of MOLLE on the ASAP bag, by the way), you can create your own organization system that you can then adapt to your needs. For example, you may need a ton of organization for a long backpacking trip or a long flight, but much less organization when you’re heading to class for the afternoon. Also, if you buy a pack that has pockets intended for specific tech items, the pockets could become antiquated soon – a pocket intended for a cell phone a few years ago would be way too small for the newer iPhones on the market. Carrying typical assault pack necessities, like extra ammo, frags, and food and water. General daily use to carry whatever items you need to take along with you. Outdoor adventures, including those in the backcountry. The internal high-density polyethylene (HDPE) frame is flexible while still being rigid enough for support. The tri-zip opening means you can either open the pack entirely or you can open just the top of it to drop items in. The top opening is pretty small – it’s just big enough to fit a hand in or to drop items through. The inside of the pack has several different configuration options for your hydration needs. There are two internal sleeves with compressions straps that can hold water bladders up to three liters each. The lid has a zippered compartment with another zippered pocket inside. There aren’t small pockets inside the bag, so the lid’s compartments are the best places to put your small items. The lid also has Velcro on it where you can stick ID and patches (if you’re into that). There are zipper tabs that make unzipping easy. Hold the tab down and pull the zipper in the opposite direction. Without the tabs, they’d be difficult to unzip – this is a good thing, though, because it means they won’t unzip on their own. The Futura Yoke can micro-adjust to your specific torso length. For more about Mystery Ranch’s bag architecture, visit this link. There’s a removable one-inch waist belt. The reason the belt is so small is that the belt on this size pack is basically just for stability and to keep the bag from swinging from side to side. It’s not for transferring the load to the hips. In this section, we’re going to hone in on the major pros and cons of the Mystery Ranch ASAP pack. What’s most obvious when you first pick up the ASAP is that this is a bag that’s made well using high-quality materials. It feels like this is a bag that will last – and it will. The Mystery Ranch ASAP is large enough to fit all your gear, even if that just means you need to carry a large, 15-inch laptop. It’s also a great size to use as a carry-on when flying. The ASAP is very comfortable and you don’t feel weighed down by the weight of what you’re carrying or the bag itself. So long as the bag is correctly adjusted, it’ll feel like it’s meant just for you-you’ll have an easy time moving in it no matter what you’re doing or carrying. The ASAP will look like new even after going off-trail and putting it through its paces. The material doesn’t tend to show wear even after regular use. The tri-zip opening sounds like a good idea, but you may find that it becomes difficult to always go through two steps in order to open the pack: pulling the top back to unzip the top two zippers, then pulling the main zipper down to access the entire interior. The solution here would be to put the items you’ll need access to in either the lid compartments or attached the exterior MOLLE. While the interior bladder pockets are great if you are, in fact, carrying hydration bladders, they’re not that useful otherwise and can actually get in the way of organizing the interior instead of helping with it. Yes, you can put small objects in them, but the real problem is that it’s hard to get larger items in around them. You may find that the items you’re trying to put in the main part of the bag snag on those hydration slips. A solution would be to use Velcro to keep those pockets closed when you’re not using them. The one-inch belt is one of the biggest drawbacks of this bag. Many customers wish for a wider belt that something like a compass, GPS, flashlight, radio or pistol holster can be attached to. Since this belt is thin and doesn’t have MOLLE, though, it’s not possible to attach items like these to it. However, since this bag is only 20 liters, it doesn’t need the load bearing support of a wider belt, and there are so many MOLLE attachments on the rest of the bag that it’s unlikely you’ll run out of external storage space. The price of the Mystery Ranch is a bit high, but we feel that it’s truly worth what you pay. If you’ve changed bags frequently in the past, be prepared to stick with just one for as long as it will last (which could be forever). Not only are you bound to love the Mystery Ranch ASAP, but it’s so durable and long-lasting you’ll have a hard time finding a reason to not use it. This pack is excellent for any number of uses, including carrying camera equipment, traveling or just regular daily use, but it excels when out on active, rough excursions. The more you test this pack on your adventures, the more you’ll see just how much it can take. We feel that the drawbacks of this bag are nothing compared to its benefits. With some Velcro on the interior pockets and some savvy external organization, you can combat both the “inner pockets getting in the way” issue and the lack of MOLLE on the waist belt. Also, while it’s a little pricier than other EDC bags out there, you won’t have to replace this bag any time soon, if ever. You can also return this bag, unused, within 60 days for a refund, which gives you plenty of time to see if it’s right for you. The REI Co-Op Flash 45 Backpack Review: Is it Right for You? ULA Camino 2 Review: Is This The Best Outdoor Backpack for You? The Osprey Tropos Review: Who Is This Backpack For?